Depends on what you actually need and already have. These are the centres I am looking for I already have two so realistically need another three or if a full set can be reproduced then a full set. 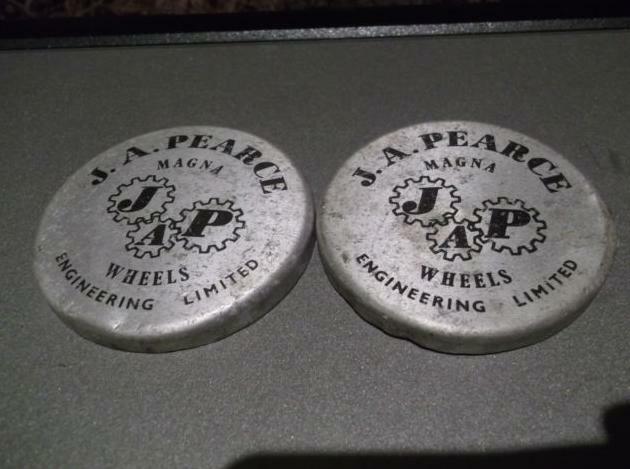 Somebody tried to contact me a couple of years ago, as a result of something I wrote on another site, saying that he was going to start making J A Pearce wheels. Unfortunately I only contributed as a guest, and was unable to reply through the letters page. If you can find a metal spinner then reproducing the cap shouldn't be too difficult. Then somewhere like Sticky Fingers may be able to help you with some decals/transfers.